Where you off to next? Clear out your calendars — you wouldn’t want to miss the biggest travel event of the year! And I say this with much certainty; the Klook Travel Fest on September 29 – 30, 2018 is an absolute must for all backpackers, solo wanderers, and families planning their next vacation. Put together in celebration of its first anniversary by Klook Philippines, an online travel agency where you can conveniently book tickets to attractions, shows, dining experiences, transport, and WiFi anywhere around the world, the Klook Travel Fest is going to be the first large-scale, mobile-led, experiential travel fair to be organized by a sole website. It’s everything you’ll ever want from a travel fair and more: airlines, tourism boards, workshops, exhibitions, and big, big deals and savings. Here’s a complete rundown of what’s going to happen during the two-day event! Going to the event gives you a chance to check out and score exclusive deals to various attractions including Universal Studios Japan, Resorts World Sentosa, Ocean Park Hong Kong, Ngong Ping 360, Legoland Malaysia, Skytrek Adventures, Dessert Museum, and Sanrio Odakyu. You will also be able to chat with tourism bodies from Thailand, Singapore, and Korea, as well as engage with Klook Travel Fest partners Carousell, Agoda, BPI, Shopback, GetGo, Globe, Samsung, and Coke. 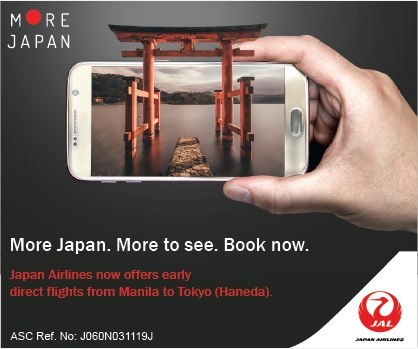 Of course, what’s a travel fair without a chance to book flights at great prices? Seek out these participating airlines: Cebu Pacific, EVA Air, China Airlines, Cathay Pacific, Emirates, and Jetstar. Klook also put together a number of fun talks and mini workshops that will enlighten and teach aspiring travelers the ins and outs of being a jetsetter. You will be able to learn how to travel in style with Instagram influencers Camille Co, Kryz Uy, and Nicole Andersson, get tips and tricks on how to travel on a budget with The Poor Traveler, master creative night photography with Janina Manipol, and find out the best places to eat around Singapore with Our Awesome Planet’s Anton Diaz. You will also get to enjoy performances by beloved local artists like Reese Lansangan, IV of Spades, and Autotelic. Check out Klook PH’s official Facebook page for the complete list of workshops and bands performing. As a birthday treat, everyone gets to enjoy 8% off (maximum discount of PHP 500) on all Klook activities by using the promo code KLKGETSLIT when booking through the Klook app! First-timers of the Klook app will also receive extra discounts too! Head over to the Klook PH website to find out more. 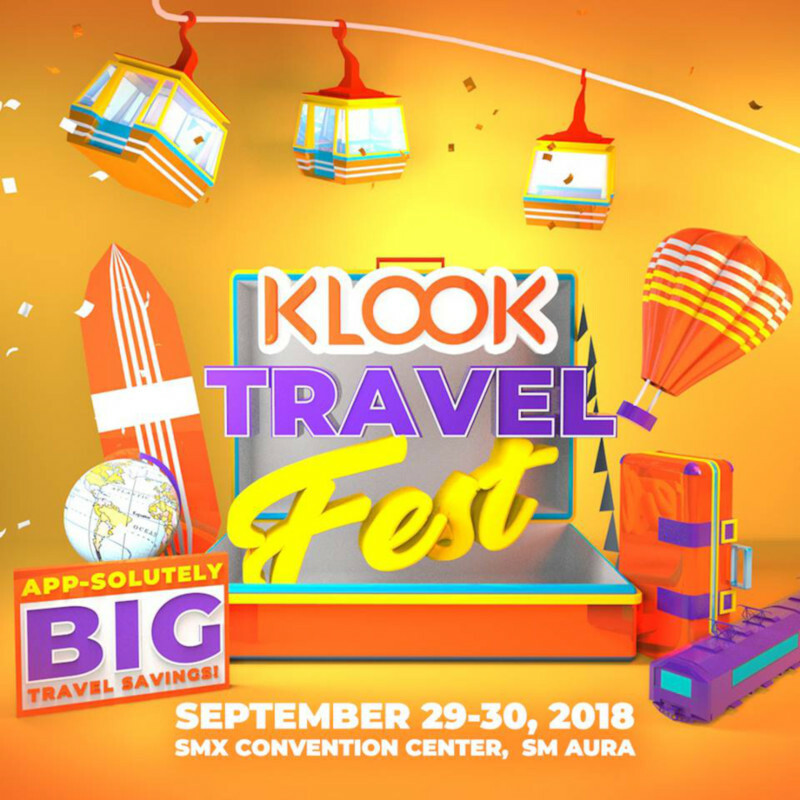 The Klook Travel Fest is a free event that will run from September 29 to 30, 2018 at SMX Convention Center. Just download the mobile voucher through the Klook app. What are you most excited for during this travel fair? Share your thoughts in the comments section below!